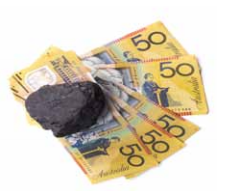 Australia is rich in many mineral and energy resources. For 150 years, mining has helped to drive Australia’s economic growth and ongoing economic change. Development of Australia’s world class resources has accelerated during the past decade, with investment and production reaching historic highs. Mining, including oil and gas, today contributes to about 60 percent of Australia’s exports and more than 10 percent of gross domestic product. The sector’s rapid growth during the past 10 years has been stimulated by strong demand for commodities, led by China. The mining sector also dominates direct investment: in 2012, some 46 percent of the record USD446 billion of the committed and probable investments were in mining and infrastructure. However, direct mining employment (just under 2 per cent of total employment) is relatively small, due to the capital-intensive nature of the sector, but many more jobs are generated in supplies and services to mining and in second round jobs created by the economic activity that mining generates. In fact in Western Australia, one of the world’s great minerals and energy regions, 78 percent of the workforce is engaged in services of all kinds. The economic contribution of the resources sector has had some profound effects on the economic structure – underpinning not only rapid growth despite global economic perturbations, but also catalysing broader economic transformation, as Australia re-orientates to Asia and builds a sophisticated services export sector. Australia is therefore converting its natural advantages in mining and agriculture into a wider knowledge-based, diversified and service-oriented economy. 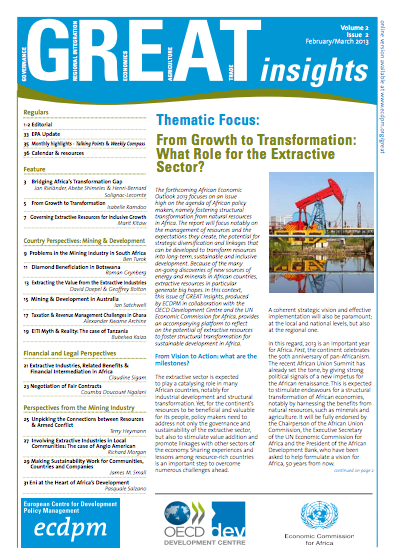 Although this transformation has not always been easy, with some traditional economic sectors, such as mass product manufacturing now coming under pressure from rising costs and a high exchange rate, other sectors such as mining equipment, technology and services (METS), education exports, construction and financial services have grown rapidly, in response to rapid expansion of the mining sector. Furthermore, the Australian METS sector is a rapidly growing exporter – following and enabling mining investment elsewhere in the world. The METS sector comprises many knowledge-intensive industries, such as engineering, environmental and business services, and complex EPCM project delivery. Many of the new technologies used in the mining industry have been developed by the services sector. These technologies have not only enabled the Australian mining industry to be increasingly efficient, but have also developed as valuable exports themselves, providing an additional route to add value to Australia’s rich resource base. In the major cities close to mining regions, economic activity is increasingly driven not only by mining activities and the complementary supply of mining goods and services, but also by technology and knowledge being developed and exported to other mineral-rich countries. In many cases, suppliers are both supported by, and provide support for Australian mining companies in their offshore investments. Effective industry and government partnerships have encouraged and supported the supply of Australian content in mining projects, which have in turn, contributed to the development of the mining goods and services sector in Australia. For instance, the Australian Industry Capability Network links customers with suppliers by providing market information and portals to major project procurement. Suppliers focus not only on project construction, but also on through-life support of mining operations. In addition, major projects provide for Australian Industry Participation Plans as part of their approval processes to ensure local content. Notwithstanding challenges, Australia has nevertheless managed to build its mining industry, deliver strong growth and deliver economy-wide benefits. It has also managed its economic transformation, initially using the mining sector as a lever. But as transformation is a continuous process, and to meet the upcoming opportunities in particular from Asia and beyond, Australia still needs to undertake reforms in order to maintain the momentum of change. The key tenets of Australia’s strategy are outlined below. The foundations for a robust and adaptable Australian economy were laid more than two decades ago when a program of major economic reform was launched to build more flexibility into the economy and improve its efficiency. These changes included market-based reforms to energy, water and transport, building a more flexible labour market, more demand-responsive education and training, trade and investment liberalisation, and taxation reforms. Economic reform has provided a business environment in which new industries have been able to develop, grow and pursue innovation. Today, the reform program is still ongoing so as to ensure that Australia stays competitive in a fast changing global economy. But there are concerns that the pace of reform has slowed down in recent years, along with the rate of productivity improvement, necessary to maintain competiveness in traditional markets and to access new markets with new goods and services. There is therefore a renewed emphasis on productivity, innovation and market responsiveness. Key to this is a responsive, diversified and increasingly skilled labour market. Low-skilled jobs have declined as a proportion of total employment, with a shift to a more educated workforce and higher skilled occupations. As a result, Australia enjoys high rates of employment, but with some skills in short supply. 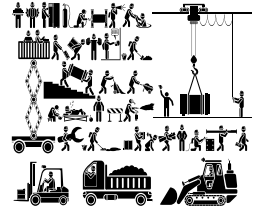 Forecasts indicated continuing strong labour demand in many traditional sectors as well as emerging sectors. Effective education and training are therefore fundamental to ensure labour market responsiveness. Australia has sought to align its education system to skill needs and to ensure it is able to respond flexibly to changing needs. Both technical education colleges and universities play a key role in educating and training the workforce. New courses and delivery modes – including through-career retraining and professional development – have been introduced. Partnerships between education institutions and industry have been developed to more closely match skill development to employers’ needs. In line with other high-growth sectors, education is oriented not only to servicing Australian skill requirements, but also to help other countries meet their skills needs. Education is now Australia’s largest services export, with tens of thousands of foreign students participating in courses in Australian and offshore campuses as well as on-line. In Australia’s high growth situation and the provision of an adequate workforce has also necessitated overseas migration, inter-regional migration, retraining workers to meet new skills needs, increasing participation rates (particularly of women, indigenous people and older people), automation, and lifting worker productivity. Furthermore, adequate infrastructure is essential to economic transformation. Until recently, most of the infrastructure focus has been on providing ‘hard’ facilities like railways, ports and roads, as well as energy and water to support industrial activity. In addition, high-speed telecommunication is crucial to support more knowledge-intensive industries and improve global outreach. However, government and the business community have recognised that human resources are just as important, and much more effort is now being applied to the development of quality communities and the provision of soft infrastructure and services to support them. In addition, improving productivity also requires innovation by firms, government, education and research institutions and individuals. A strong research base goes hand-in-hand with world class advanced education. Australian universities as well as public and private research institutions have therefore engaged in providing globally significant pure and applied research across all fields of human endeavour. The research outputs service both the Australian economy and other countries. Despite decades of micro-economic reforms in Australia, individuals and firms remain nevertheless burdened with unnecessary and restrictive regulations that inhibit innovation and productivity. It is therefore crucial to continue reform by removing the remaining barriers to the efficient functioning of markets in order to enable the business community to contribute to future prosperity of the Australian economy. Australia has learned a lot about the development of world-scale mining and have so far been able to maximise benefits. But there is still much to learn. In this regard, the International Mining for Development Centre has been established to help transfer Australian knowledge about mining and associated sectors to other mineral-rich countries that wish to support their mining sectors to promote broad-based economic growth and deliver larger community benefits. Ian Satchwell is Director of the International Mining for Development Centre, Perth, Western Australia.